superdumb supervillain: Pink, Pink, Pink! Oh my goodness. Boon has struck yet again! 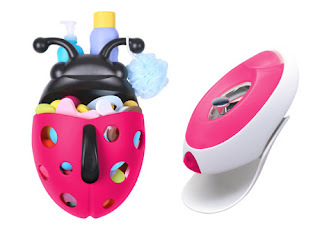 This time the already utterly adorable red and black Bug Pod has been reinvented in pink, glorious pink. So has the Flo Water Deflector. Both products are available at Babies R Us.